When I decided to study steampunk for my PhD research, I immediately began compiling a reading list of primary sources. I began with Wikipedia's list of steampunk works, augmented by steampunkopedia, and then supplemented these with the shorter lists, such as the top 10 literary steampunk works at darkfantasy.org. While I wanted as comprehensive a collection as my budget could afford, I also didn't want to be wasting my time on peripheral works which only username Dr. Aetheric Tophat on random-discussion-thread-of-your-choice considers steampunk. Recently I came across this link at librarything.com, which tabulates how many times a book has been tagged "steampunk." It's an interesting, though not necessarily accurate list, given that "Flaming London" by Joe Lansdale only has 2 tags, though in my opinion it is clearly steampunk. Here's the list I came up with, set out in MLA works cited format for all you lazy scholars who want to pirate my work. Most of these books are on my shelves already, awaiting reading. Those in bold text I've already read. The linked ones are the titles I've already made annotated entries for here at Steampunk Scholar. Check out my other list for secondary texts, like Jess Nevins' Unofficial Guides to the League of Extraordinary Gentlement. Akers, Tim. The Horns of Ruin. Amherst: PYR, 2010. Anderson, Kevin J. Captain Nemo: The Fantastic Adventures of a Dark Genius. London: Titan Books, 2011. The League of Extraordinary Gentlemen. New York:Pocket Star, 2003. ---, ed. War of the Worlds: Global Dispatches. New York: Spectra, 1997. Ashley, Mike. Steampunk Prime. New York: Nonstop Press, 2010. Ashley, Mike and Eric Brown, eds. The Mammoth Book of New Jules Verne: Return to the Center of the Earth and Other Extraordinary Voyages, New Tales by the Heirs of Jules Verne. : New York: Carrol and Graf, 2005. Augustyn, Brian, and Mignola, Mike. Batman: Gotham by Gaslight. New York: DC Comics, 1989. Baker, Kage. Not Less Than Gods. Burton: Subterranean Press, 2010. ---. The Women of Nell Gwynne's. Burton: Subterranean Press, 2009. Baxter, Stephen. Anti-Ice. New York: Harper/Prism, 1993. ---. "The Ice Line." Asimov's Science Fiction. Feb. 2010: 72-105. ---. "The Ice War." Asimov's Science Fiction. Sept. 2008: page numbers unknown. Bear, Elizabeth. New Amsterdam. Burton: Far Territories, 2007. Blaylock, James P. The Adventures of Langdon St. Ives. Burton: Subterranean Press, 2008. ---. The Digging Leviathan. New York: Ace Books, 1984. Bush, Emilie P. Chenda and the Airship Brofman. Self-published, 2009. Campbell, Alan. Scar Night. New York: Bantam, 2006. Carriger, Gail: Blameless: The Parasol Protectorate: Book the Second. New York, Orbit Books, 2011. ---. Changeless: The Parasol Protectorate: Book the Second. New York, Orbit Books, 2010. ---. Soulless--The Parasol Protectorate: Book the First. New York, Orbit Books, 2009. Dahlquist, Gordon. The Dark Volume. New York: Bantam, 2009. ---. The Glass Books of the Dream Eaters, Volume One. New York: Bantam Books, 2008. ---. The Glass Books of the Dream Eaters, Volume Two. New York: Bantam Books, 2009. Di Filippo, Paul. The Steampunk Trilogy. New York: Four Walls Eight Windows, 1995. Ewing, Al. El Sombre: Pax Britannia Series. Gardena: Abaddon Press, 2007. Flaming, Matthew. The Kingdom of Ohio. New York: Amy Einhorn Books, 2009. Foglio, Phil & Kaja. Girl Genius: Omnibus Edition #1. Seattle: Studio Foglio, 2006. Frost, Mark. The 6 Messiahs. New York: William Morrow and Co. 1995. ---. The List of 7. New York: Avon Books, 1993. Gevers, Nick. Extraordinary Engines: The Definitive Steampunk Anthology. Lenton: Solaris, 2008. Giambastiani, Kurt A. The Year the Cloud Fell. New York: Roc, 2001. Gibson, William & Sterling, Bruce. The Difference Engine New York : Bantam Books, 1992. Gilman, Felix. The Half-Made World. New York: Tor, 2010. Gray, Nathalie. Full Steam Ahead. Red Sage Publishing, 2010. Green, Jonathan. Human Nature: Pax Britannia Series. Gardena: Abaddon Press, 2009. ---. Leviathan Rising: Pax Britannia Series. Gardena: Abaddon Press, 2008. ---. Unnatural History: Pax Britannia Series. Gardena: Abaddon Press, 2007. Griffith, Clay & Susan. The Greyfriar. Amherst: PYR, 2010. ---. The Kingmakers. Amherst: PYR, 2012. ---. The Rift Walker. Amherst: PYR, 2011. Guinan, Paul, & Bennett, Anina. Boilerplate: History's Mechanical Marvel. New York, Abrams Image, 2009. Hernandez, Lea. Cathedral Child. Fullerton: Image Comics, 1998. ---. Clockwork Angels. Fullerton: Image Comics, 1999. Hodder, Mark. The Curious Case of the Clockwork Man. Amherst: PYR, 2011. ---. The Strange Affair of Spring Heeled Jack. Amherst: PYR, 2010. Hunt, Stephen. The Court of the Air. UK General Books, 2007. ---. The Kingdom Beyond the Waves. UK General Books, 2008. ---. The Rise of the Iron Moon. New York: Tor, 2011. Jeter, K.W. Infernal Devices: A Mad Victorian Fantasy. New York: New American Library, 1987. ---. Morlock Night. New York: Daw Books, 1979. Judson, Theodore. Fitzpatrick’s War. New York: DAW Books, 2004. Kelly, Joe. 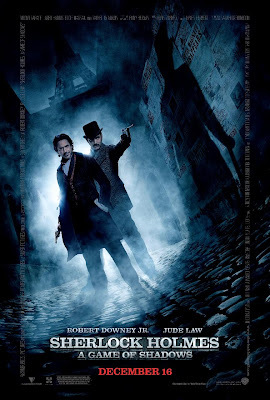 Steampunk: Drama Obscura. New York, Wildstorm Comics, 2003. ---. Steampunk: Manimatron. New York, Wildstorm Comics, 2001. Lake, Jay. Escapement. New York: Tor Books, 2008. ---. Mainspring. New York>: Tor Books, 2007. Lansdale, Joe R. Flaming London. Burton: Subterranean Press, 2006. ---. Zeppelins West. Burton: Subterranean Press, 2001. Lowachee, Karin. The Gaslight Dogs. New York, Orbit, 2010. Lupoff, Richard. Into the Aether. New York: Dell, 1974. MacAlister, Katie. Steamed: A Steampunk Romance. New York: Signet, 2010. MacLeod, Ian R. The House of Storms. New York: Ace Books, 2005. ---. The Light Ages. Toronto: Pocket Books, 1997. Mann, George. The Affinity Bridge. New York, Tor Books, 2009. ---. Ghosts of Manhattan. Amherst: Pyr, 2010. Mayer, Andrew P. The Falling Machine. Amherst: PYR, 2011. Maumejean, Xavier. The League of Heroes. Manuella Chevalier, Trans. Encino: Black Coat Press, 2005. Mellon, Mark. Napoleon Concerto: A Novel in Three Movements. Sierra Vista: Treble Heart Books, 2009. Miéville China. Iron Council. New York: Del Ray Publishing, 2005. ---. Perdido Street Station. New York: Del Ray Publishing, 2000. ---. The Scar. New York: Del Ray Publishing, 2002. Michael Moorcock. A Nomad of the Time Streams: A Scientific Romance. Clarkston, White Wolf, 1995. I've read Warlord of the Air, the first book in this collected edition. Moore, Alan and Kevin O’Neill. The League of Extraordinary Gentlemen, Volume One. La Jolla: America's Best Comics, 2000. ---. The League of Extraordinary Gentlemen, Volume Two. La Jolla: America's Best Comics, 2003. Newman, Kim. Anno Dracula. New York: Carroll & Graf Publishers, 1993. Oppel, Kenneth. Airborn. New York: HarperCollins, 2004. ---. Skybreaker. New York: HarperCollins, 2005. --- Starclimber. New York: HarperCollins, 2008. Palmer, Dexter. The Dream of Perpetual Motion. New York: St. Martin's Press, 2010. Pagliosotti, Dru. Clockwork Heart. Rockville: Juno books, 2008. Peters, S.M. Whitechapel Gods. Toronto: Roc, 2008. Pondsmith, Michael Alyn. Castle Falkenstein: Adventures in the Age of Steam. Redmond: Talsorian Games, 1994. Powers, Tim. The Anubis Gates. New York: Ace Science Fiction Books, 1983. ---. The Stress of Her Regard. 1989. San Francisco: Tachyon, 2008. Priest, Cherie. Boneshaker. New York: Tor, 2009. ---. Dreadnought. New York: Tor, 2010. Pullman, Philip. The Amber Spyglass. New York: Random House, 2000. ---. The Subtle Knife. New York: Random House, 1997. ---. The Golden Compass. New York: Random House, 1995. Pynchon, Thomas. Against the Day. Toronto: Penguin, 2007. Reeve, Phillip. Infernal Devices. 2005. New York: Harper Collins, 2007. ---. Larklight: A Rousing Tale of Dauntless Pluck in the Farthest Reaches of Space. London: Bloomsbury, 2006. ---. 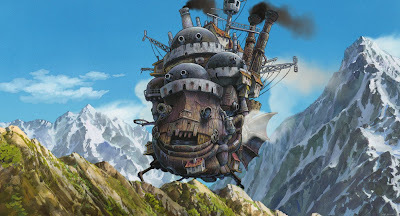 Mortal Engines. 2001. New York: Harper Collins, 2005. ---. Predator's Gold. New York: Harper Collins, 2006. Resnick, Mike. The Buntline Special. Amherst: PYR, 2010. Roberts, Keith. Pavane. 1966. New York, Ace. 1968. Rucker, Rudy. The Hollow Earth. 1990. Austin: Monkeybrain Books, 2006. Rutoski, Marie. The Cabinet of Wonders: The Kronos Chronicles Book 1. New York: Farrar Straus Giroux, 2008. Sedia, Ekaterina. The Alchemy of Stone. Prime Books, 2008. Slade, Arthur. The Dark Deeps. New York: Wendy Lamb Books, 2009. ---. The Hunchback Assignments. New York: Wendy Lamb Books, 2010. Smedman, Lisa. The Apparition Trail. Calgary: Tesseract Books, 2007. Stephenson, Neal. The Diamond Age, or A Young Lady's Illustrated Primer. New York: Bantam Books, 1996. Stirling, S.M. The Peshawar Lancers. New York, ROC, 2003. Tidhar, Lavie. Camera Obscura. Botley: Angry Robot, 2011. Tupper, Peter. The Innocent's Progress. Cambridge: Circlet Press, 2009. Vandermeer, Ann, and Jeff, eds. Steampunk. San Francisco: Tachyon Publications, 2008. ---, eds. Steampunk II: Steampunk Reloaded. San Francisco: Tachyon Publications, 2010. Westerfeld, Scott. Leviathan. Toronto: Simon Pulse, 2009. ---. Behemoth. Toronto, Simon Pulse, 2010. Wooding, Chris. Retribution Falls: Tales of the Ketty Jay 1. Gollancz, 2010. Wrede, Patricia C. Thirteenth Child. New York: Scholastic Press, 2009. I should also note that I have compiled a list of French steampunk works, but will not be adding them to this list until I've actually learned how to read French, aside from the inclusion of The League of Heroes, a translated version of Xavier Maumejean's La Ligue des héros. You are a god. Writing my MA thesis on monsters in Neo-Victorian fiction, and your comprehensive reading lists have been super helpful. Thanks! Sadly, I'm a little behind on updating it, but I'm glad it helped. Gail Carriger's books would be good for that, and Kim Newman's Anno Dracula is essential. I'd also recommend Mark Hodder's series, and Cherie Priest's zombie-infested old west books, the Clockwork Century. Heya, Mike, this is fantastic. Will be used in my own research and properly attributed to your site. Cool! Thanks for making use of it, Jonathan! I promise to update it this summer. I'm also hoping to include brief annotations to indicate what themes a researcher is likely to find in each work.